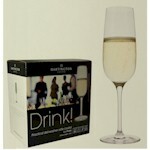 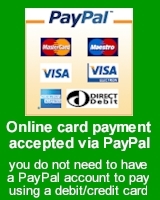 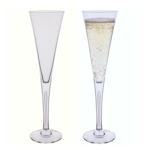 Not sure what kind of champagne glass you need? 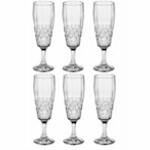 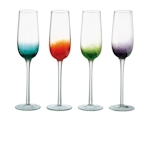 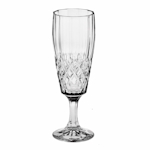 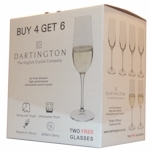 Grouped together here for your convenience are a selection of cut lead crystal, coloured, decorated and dishwasher safe champagne flutes. 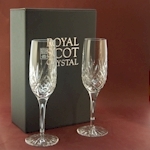 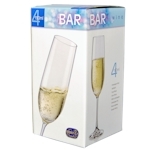 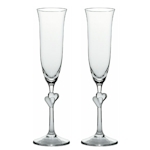 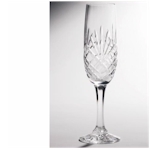 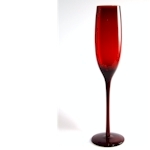 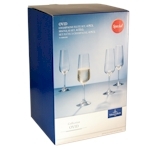 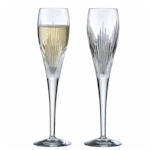 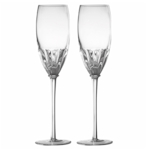 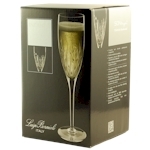 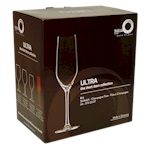 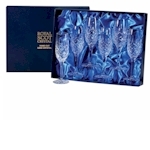 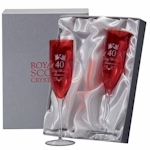 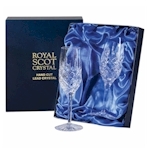 A boxed pair of champagne flutes, each with a satin and clear glass heart in the stem.